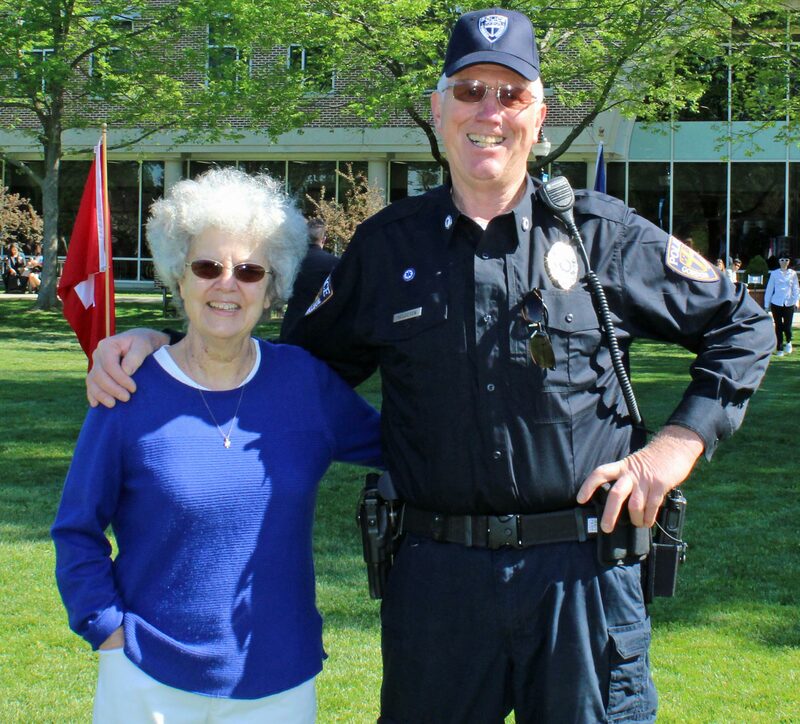 (Amesbury MA) Nichols is good….very good! 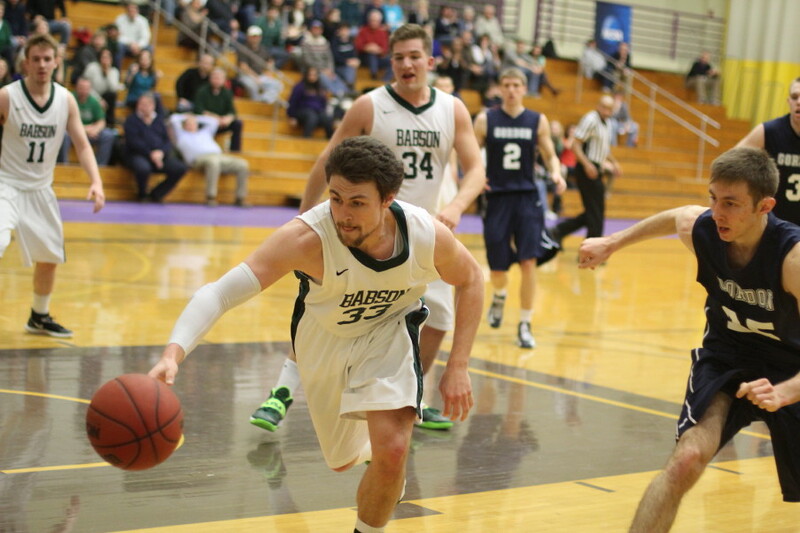 The Bison won their eleventh straight game as they ran away from Gordon, 76-49, on Thursday night in Dudley. 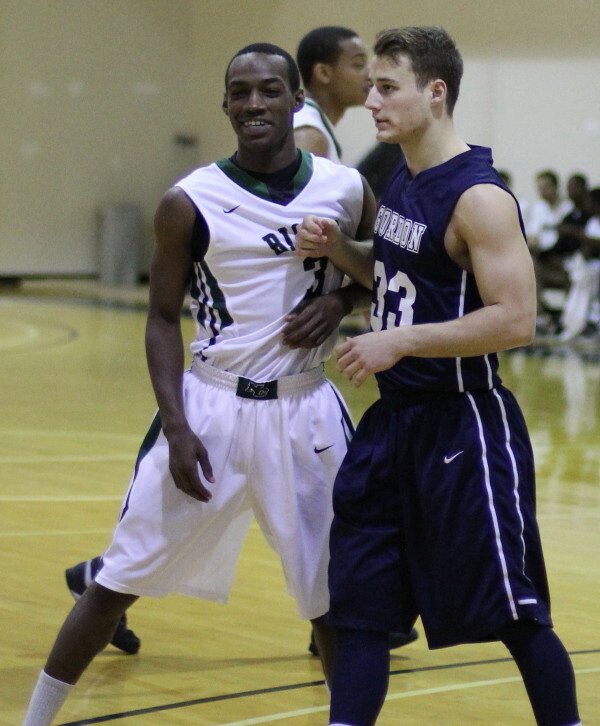 Nichols (16-4) is undefeated in the Commonwealth Coast Conference (13-0) with five CCC games left. Junior Irving Eggleston (33 points) put the biggest hurt on the Scots getting twenty-one of those points in the second half. Irving drained five long ones in the Bison’s 44-28 second half explosion. Nichols was quick to the basket getting thirty points in the paint. 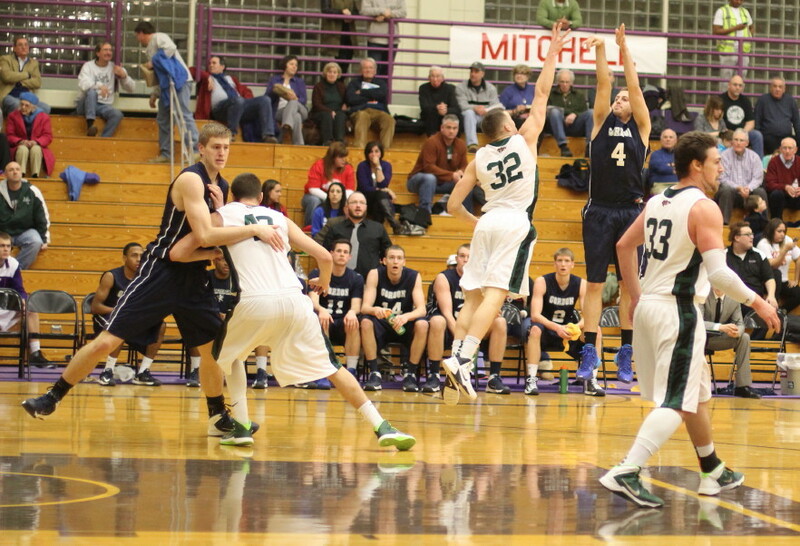 Numerous times the Nichols’ guards were able to break free of outside GC defenders and get into the paint. 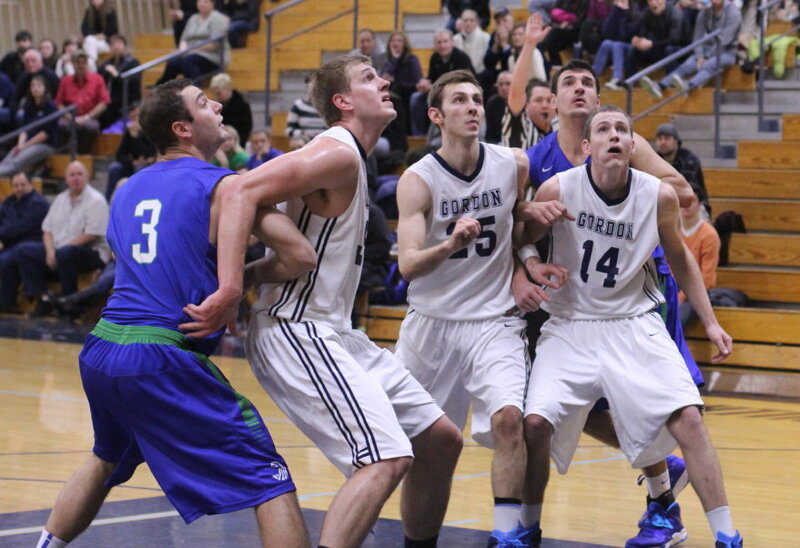 When GC interior defenders reacted the Bison were quick to feed teammates for layups. 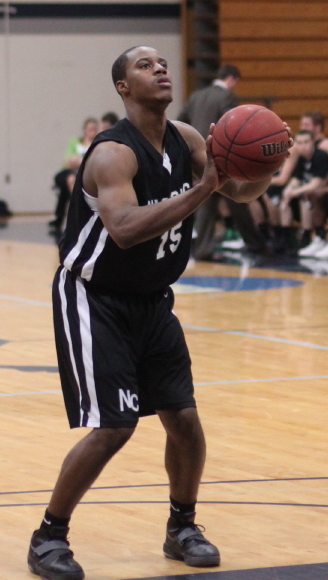 Nichols had fifteen assists. Gordon (8-12) faced plenty of full-court pressure and turned the ball over 24 times. Nichols’ sixteen steals were the highest GC has had against them this season. Gordon was competitive for twelve minutes tied at 17-17. The home team went on a 15-4 run the rest of that half. Minus Jason Dempsey and Taylor Bajema there was no rally button to be pressed. The home crowd hadn’t forgotten Gordon’s upset at the end of last season that gave GC the conference title. There seemed to be quite a bit of chatter on the floor among the players. 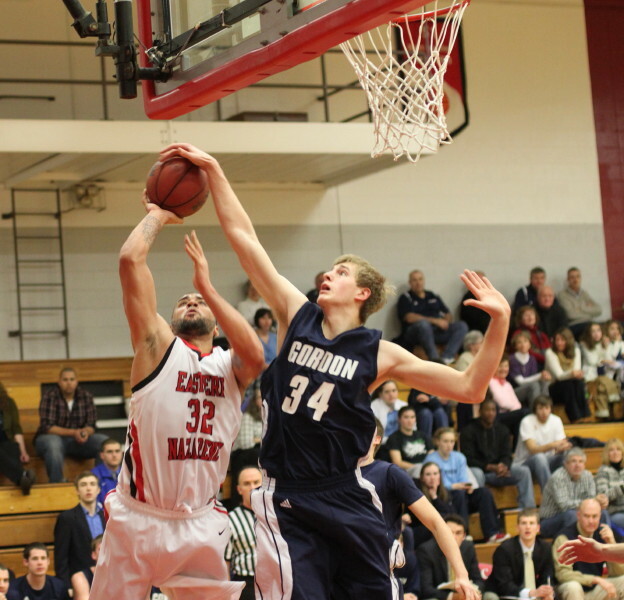 Hans Miersma had his ninth double/double (14 points/14 rebounds) of the season. He also had five blocks. 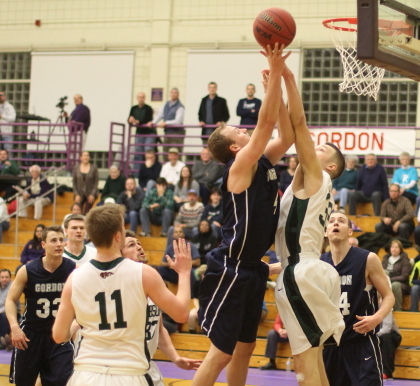 Dominic Paradis had one of his best games with seventeen points and six rebounds. 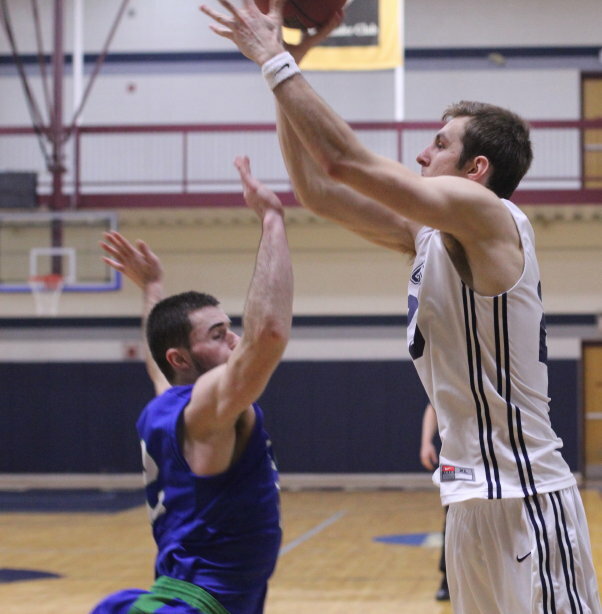 With twenty-four turnovers, thirteen missed free throws (9-for-22), and two starters (Craig McFarlane and Udoka Obiora) held scoreless, the Scots had little chance to stay with a Nichols team that can score points. The Bison average 76 points per game. The Scots may have lost but they didn’t get humiliated in the way that Curry was by Nichols at home two days ago. The final in that one was Nichols 124 and Curry 57. Gordon returns home on Saturday to see if they can do something about their 1-7 record at the Bennett Center. They will face Curry. Richie Armand hit a three with five seconds left and Gordon pulled off a tense 59-57 Commonwealth Coast Conference win at Springfield over Western New England on Tuesday night. Frustrating loss for the Golden Bears (8-12). The home team led most of the game and reached a 16-point margin (44-28) five minutes into the second half. 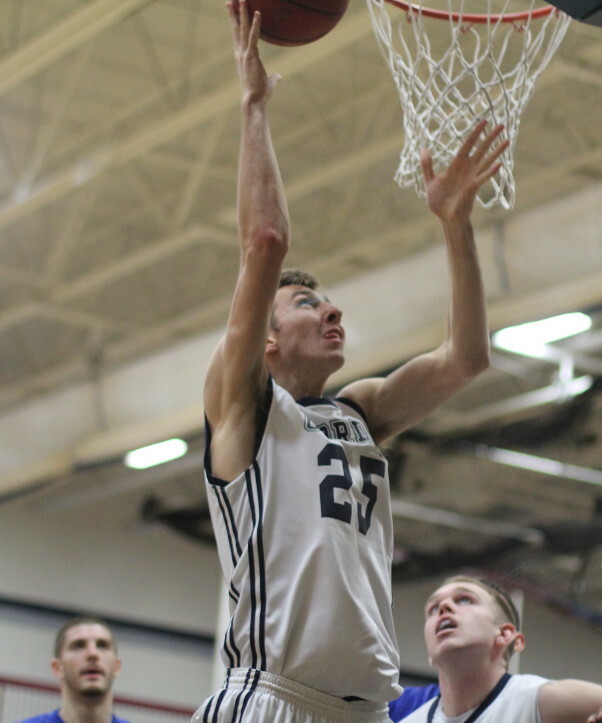 But the Scots (8-11) ran twelve straight (baskets by Sam Johnson, Taylor Bajema, Dominic Paradis, and Hans Miersma) to get back into contention. With four minutes left, Hans tied the game, 52-52, with a free throw. The rest of the game was a search for a really big shot. Taylor tied the score with a jump shot with 55 seconds left. WNE’s Musa Elsir followed with one of two free throws at 37 seconds putting the Golden Bears in front by a point (57-56). 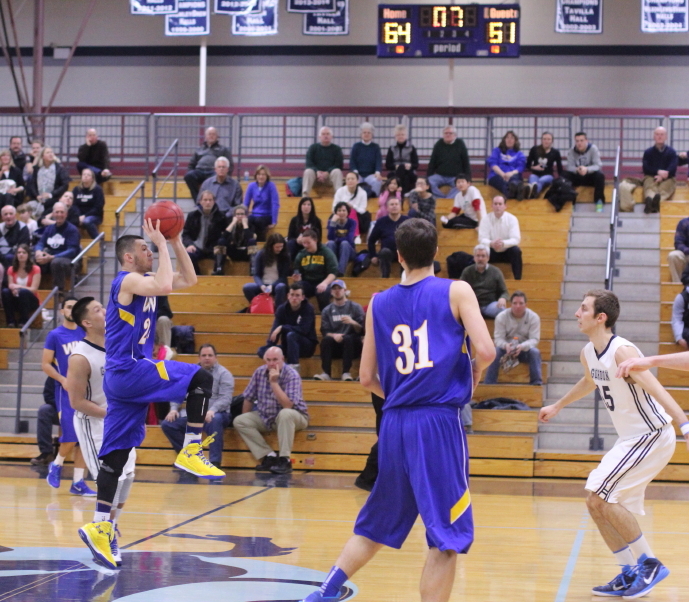 The Scots needed two for the win but instead got a three from Richie with an assist to Taylor with five seconds left. 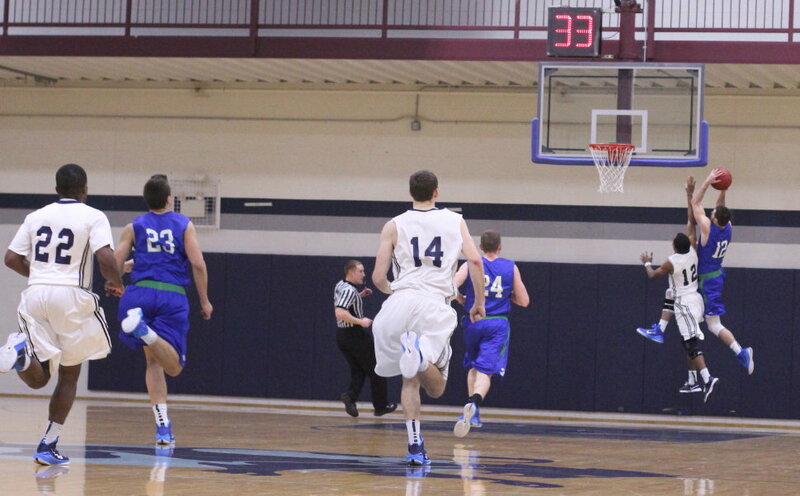 The last time the two teams played Mike Gelineau took a buzzer-beating shot from mid-court for a tie and missed. 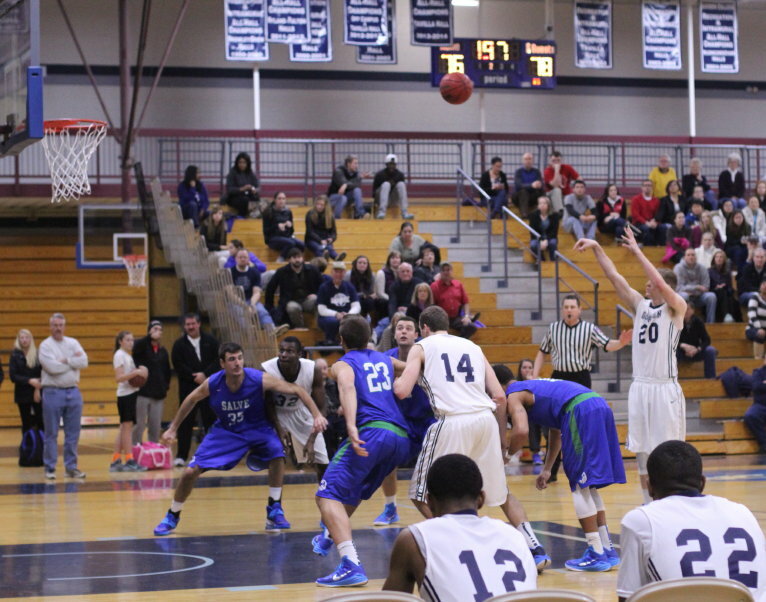 In this game it was Mike shooting again, this time from in front of the WNE bench. Mike’s shot just missed as the buzzer sounded. That make would have been a game-winner! Gordon played without Jason Dempsey (fluid on the knee) again. Jason had 18 points and 10 rebounds in the first meeting. 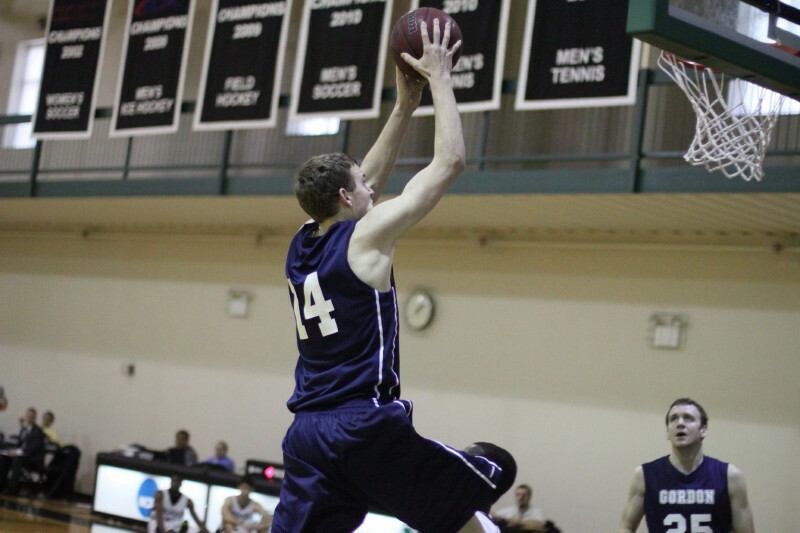 Taylor Bajema, who had missed the first game versus Western New England, topped the Efficiency chart with an 18. He had twelve points and eight rebounds. The GB’s had won four straight Commonwealth Coast Conference games before the Gordon loss. Similar to Gordon, the Golden Bears struggle mightily at home (2-10) but are 6-2 on the road. Gordon is 1-7 at home and 6-4 away from the formerly friendly confines of the Bennett Center. The Scots will be in Dudley, weather permitting, to face undefeated Nichols on Thursday night. Now that’s a road win that would get some serious attention! Jaren Yang has now made twenty straight free throws. Sam Johnson (six points/seven rebounds) and Dominic Paradis (10 points/six rebounds) came off the Gordon bench to make significant contributions. (Newtown CT) Gordon played better but better wasn’t enough. 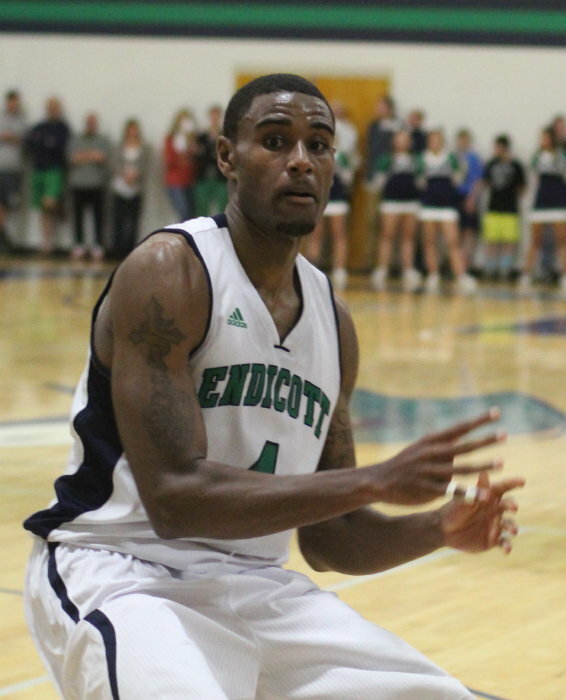 Endicott defeated the Scots, 68-61, before a big house at the Bennett Center on Saturday afternoon. The Gulls (13-5) ended a five-game losing streak to the Scots with the win. 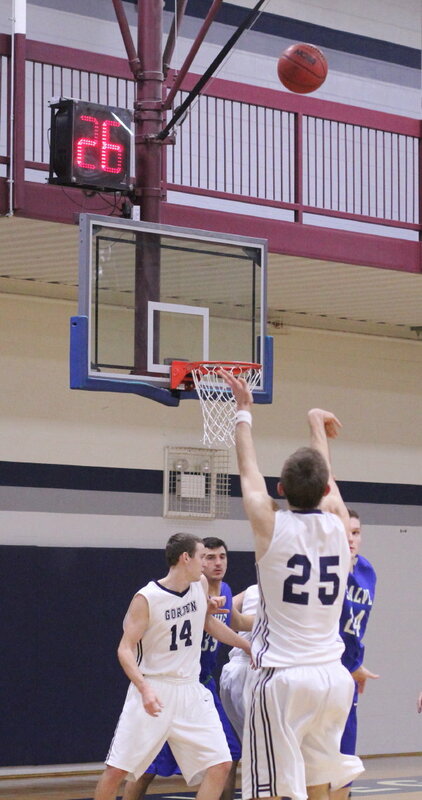 Senior John Henault (18 points) was the difference-maker for the visitors. John is one of the top players in the Commonwealth Coast Conference but has struggled against Gordon in the past. He had an 0-for-13 afternoon last time he was at the Bennett Center in a 2-point loss. That sort of shooting was a distant memory this afternoon and his steadiness today held the Gulls together. Neither team shot very well and so separation didn’t happen. 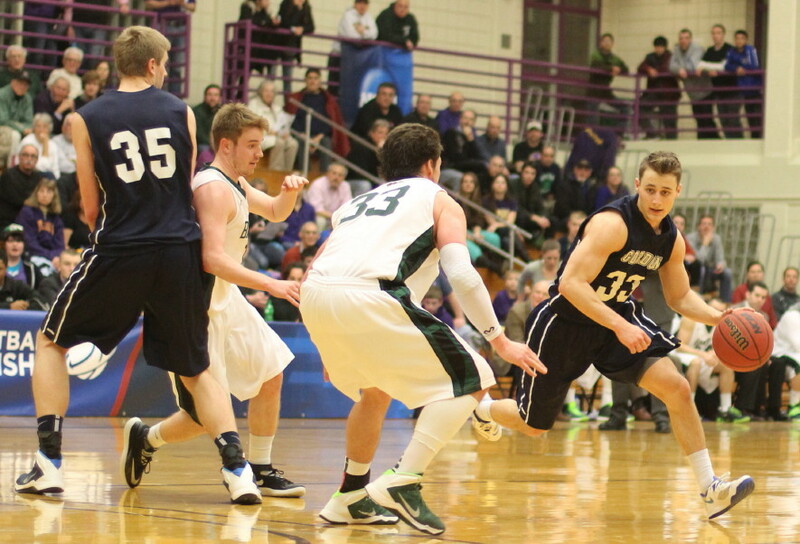 The Scots trailed almost the entire half but for most of it were one made shot behind. Certainly frustrating for the Gordon faithful was that the big catchup or get-ahead shot never materializing. Gordon (7-11) has now lost five of their last six and is a how-do-you-figure-it 1-7 at the Bennett Center. 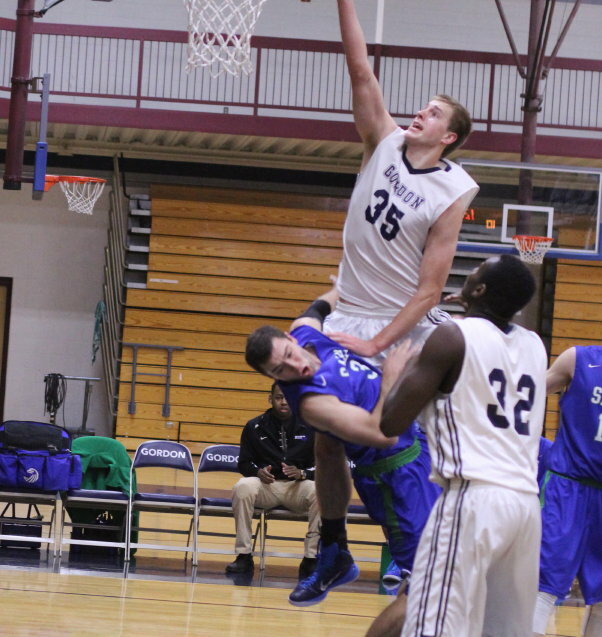 Hans Miersma (20 points/12 rebounds) had his tenth double/double of the 2014-15 season. How did this game get away from the Scots? Even without the Gulls pressing, Gordon had ten turnovers in a thirteen minute segment of the second half. The Scots were still within three points (59-56) with 5:15 left despite the miscues but at least ten shot attempts were squandered. Just as the turnovers stopped, the GC shooting turned cold in the final five minutes as 2-for-8 FG attempts and 1-for-3 FT attempts indicates. Two positive turnarounds since the Wentworth loss this week in the last game were 28 GC points in the paint and only giving up six points on turnovers. Daquan Sampson had 10 points for the Gulls while Dominic Paradis added 13 points for Gordon. 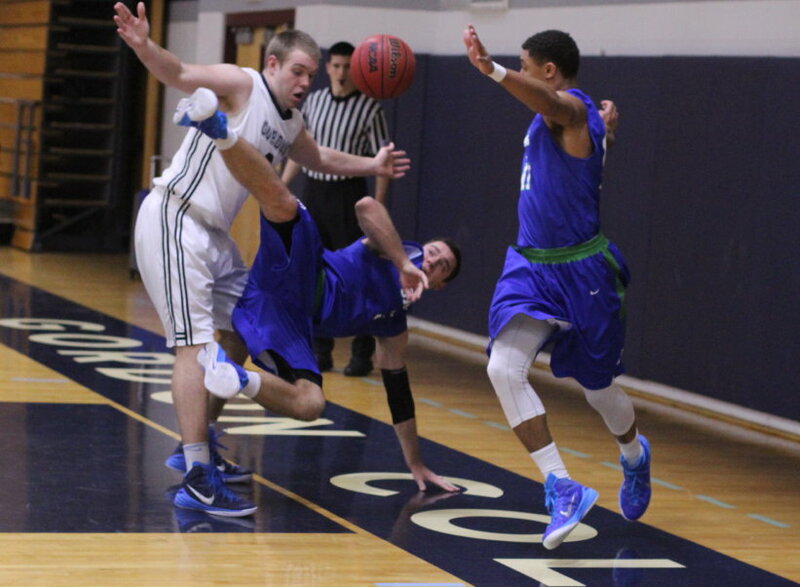 I was very surprised that Endicott didn’t press. I thought that Gordon was much more deliberate in this game. Carter Bras saw his first action in over two weeks and contributed seven points. It seems clear to me that in order for Gordon to win they must get double figures from a non-starter. 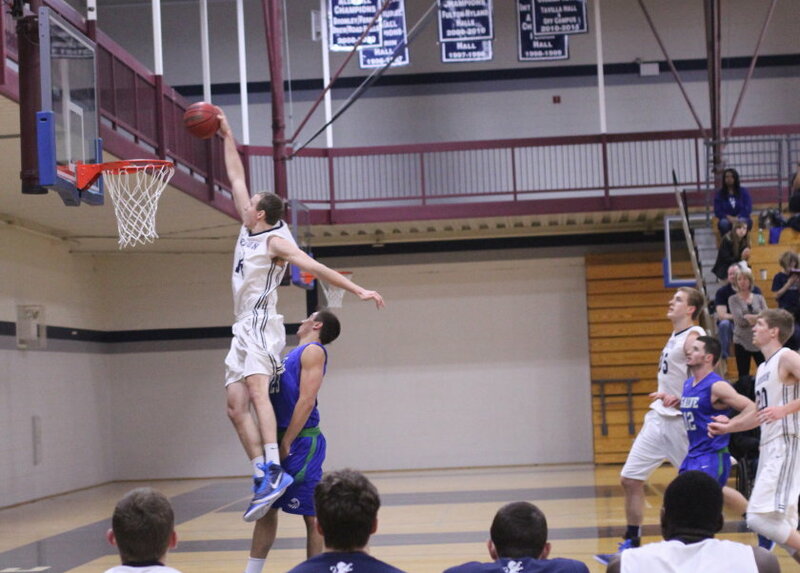 Jake Hart (16 points) did that for GC in their last win. 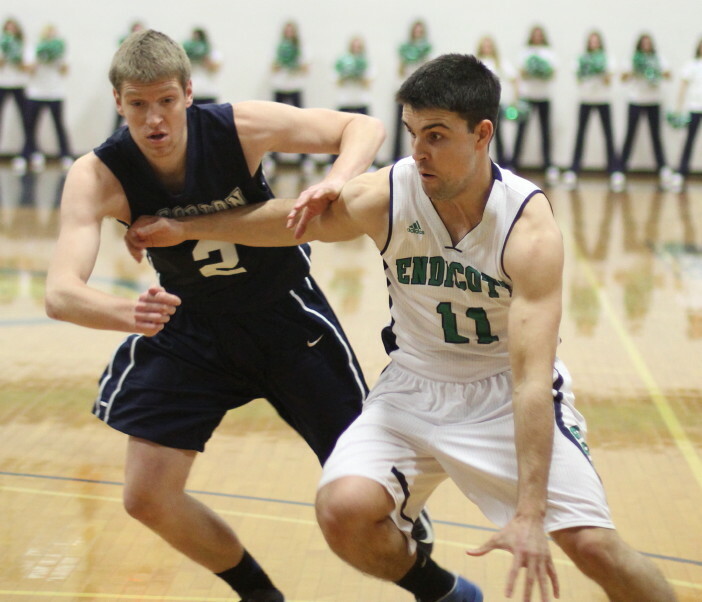 Endicott (9-2) is tied for second in the CCC with Eastern Nazarene but currently owns the tie-breaker with the Lions. Gordon (4-8) is seventh and let it not be forgotten that only eight teams make the playoffs. 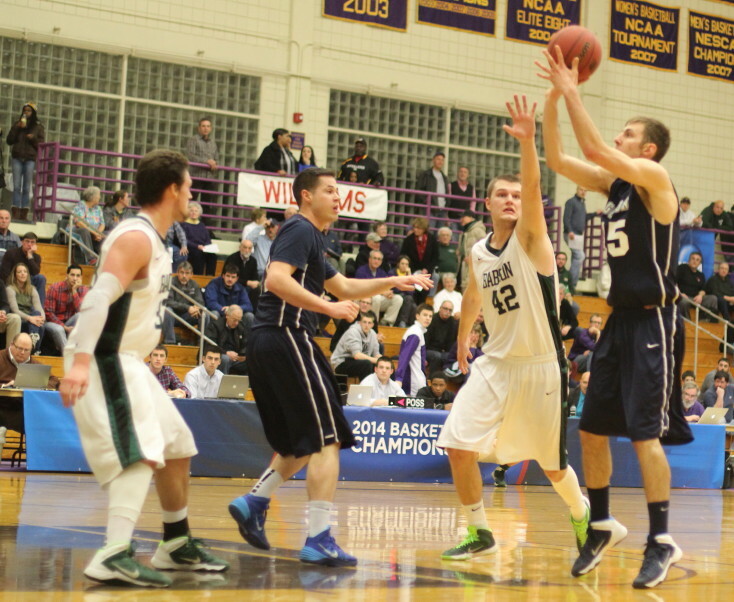 UNE has 3 wins while Salve Regina and Curry each have 2 wins. Hanging on to make the playoffs in the final six league games wasn’t in the heads of most of us at the outset of the season when Gordon was picked by the coaches to finish second. 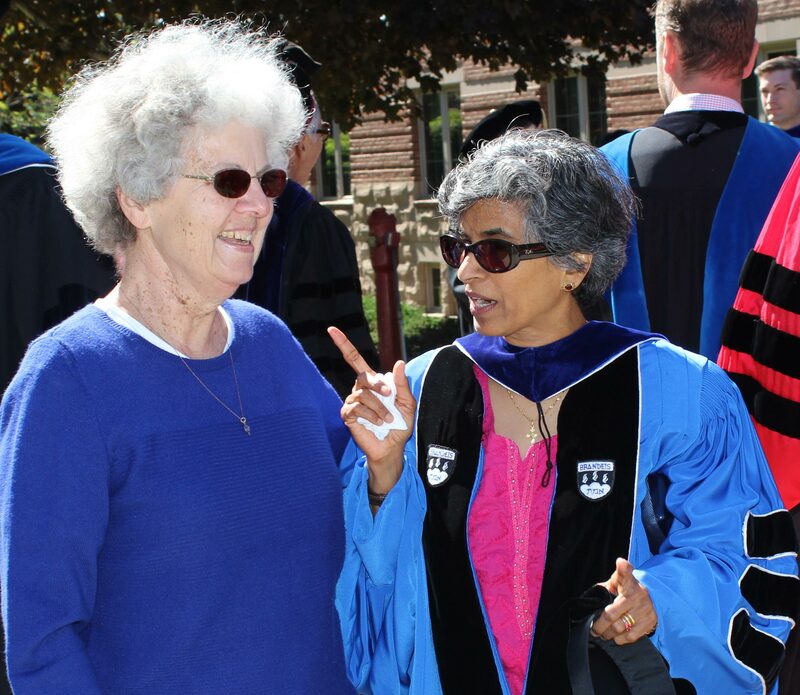 (Wenham MA) You couldn’t tell the team with seven straight losses from the team that was on a four-game winning streak by the way they played. Both teams has their moments (good and bad) but in the end it was Salve Regina defeating Gordon, 79-76, at the Bennett Center on Saturday afternoon in a Commonwealth Coast Conference game. The Seahawks (4-9) hadn’t won since November and surely had a delightful ride back home to Newport, Rhode Island. The Scots (6-7) had two good-look, 3-point attempts (Jaren Yang and Dominic Paradis) in the last twenty seconds to change the outcome but didn’t get it done. The GC loss wasted career performances by Dominic Paradis (25 points) and Jason Dempsey (26 in efficiency). Dominic was the go-to guy most of the night and nailed six from long-distance. 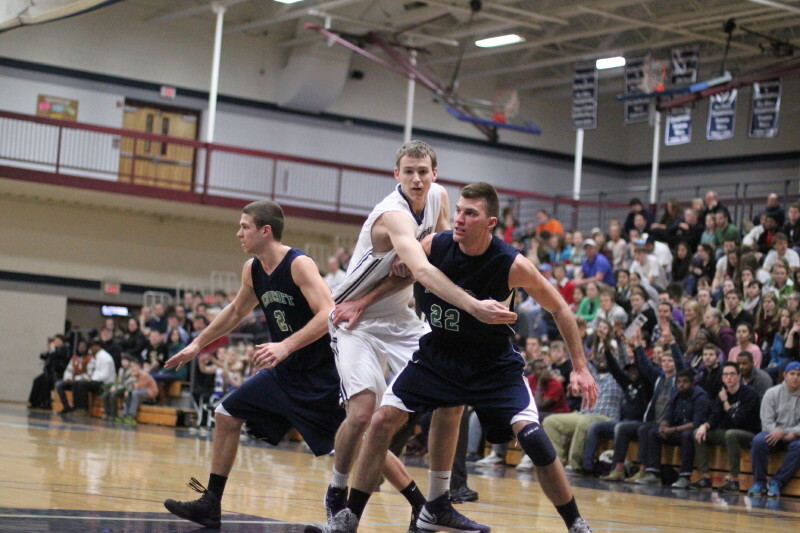 The Scots stood up well against an SRU team that couldn’t miss in parts of the first half. The Seahawks were up, 26-12, at 9:10 of that first half but Dominic hit a couple of three’s leading the Scots back close, 29-28, 3+ minutes later. 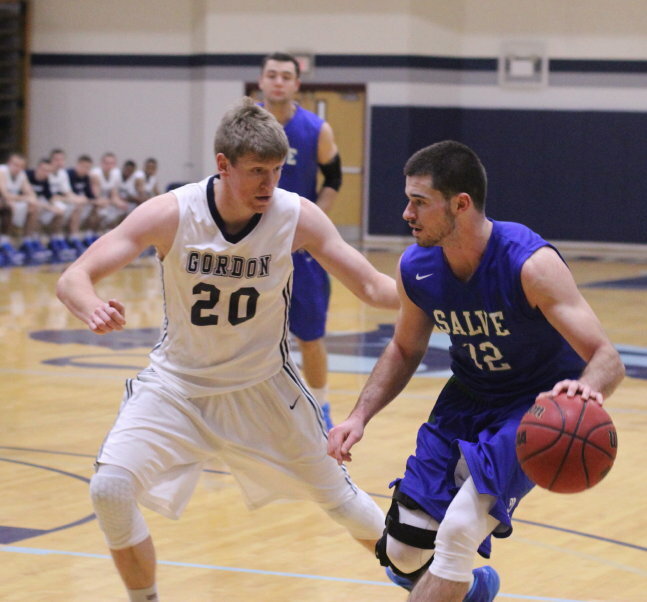 Salve was ahead by five (37-32) at the half but Gordon tied the score and even led, 66-60, with 8+ minutes left in the game. 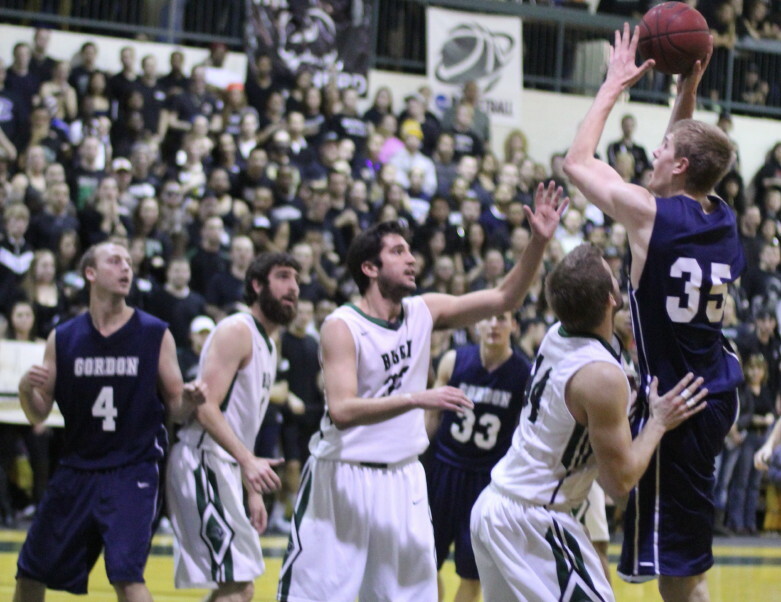 SRU rallied back and led by Barrett Hanlon (17 points in the second half) forced Gordon to play catchup the rest of the way. 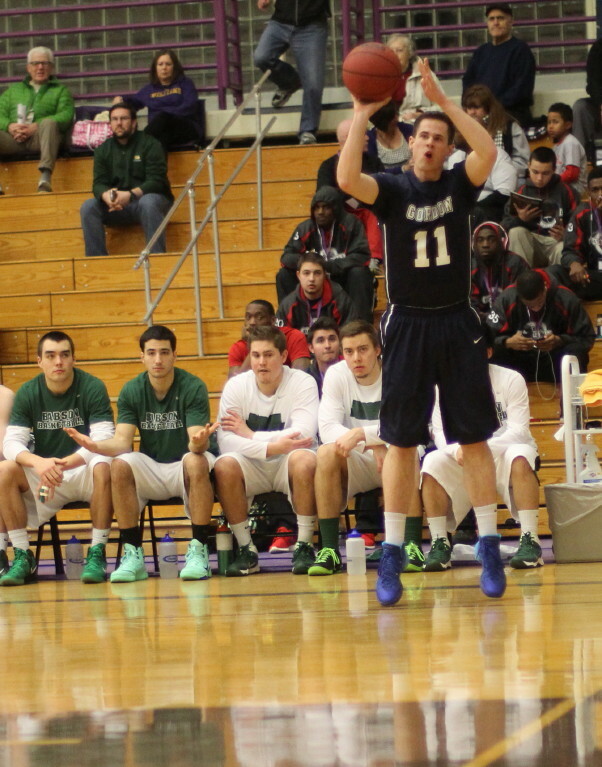 Chris O’Keefe (18 points) nailed the 3-pointer that gave the Seahawks the lead for good. Barrett (22 points) tied for the top with Jason Dempsey. Barrett (5-10 guard) had six assists, and four steals to go with his points. Jason (6-6 center/forward) had his career afternoon getting 17 points, 11 rebounds, and 3 blocks. Turnovers? 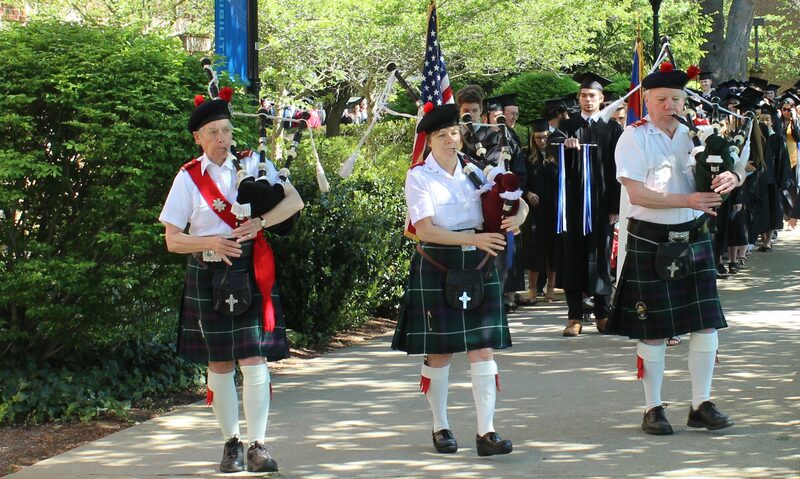 The Scots had some grievous ones in this game. To me, the grievous ones happen in the backcourt and lead to quick baskets for the other team. 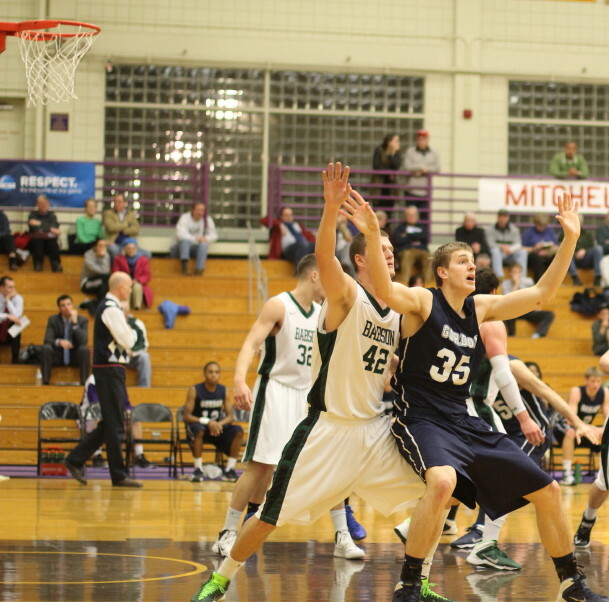 Salve collected twenty-nine points off of turnovers. Something to think about in a 3-point loss. Last year the Scots got to the point where they could handle the pressure and teams stopped trying it. This season has passed the halfway mark. It’s time to lessen the turnovers. 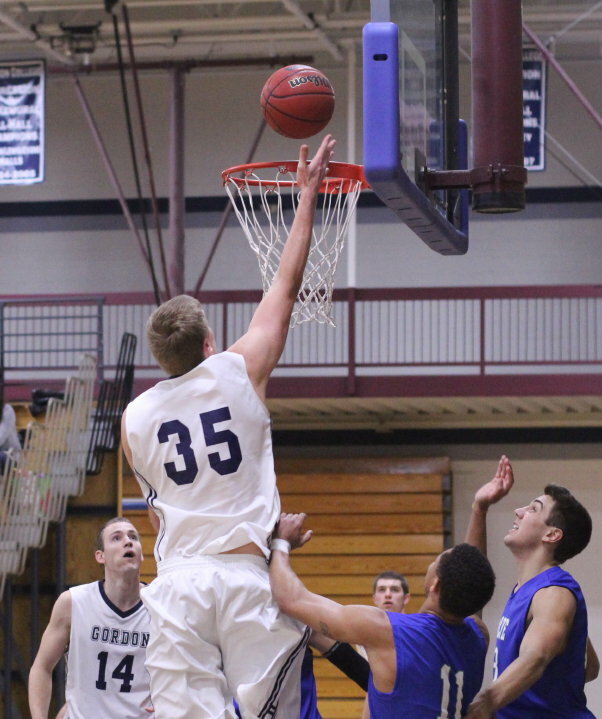 Next game for Gordon will be in Biddeford (ME) against UNE. 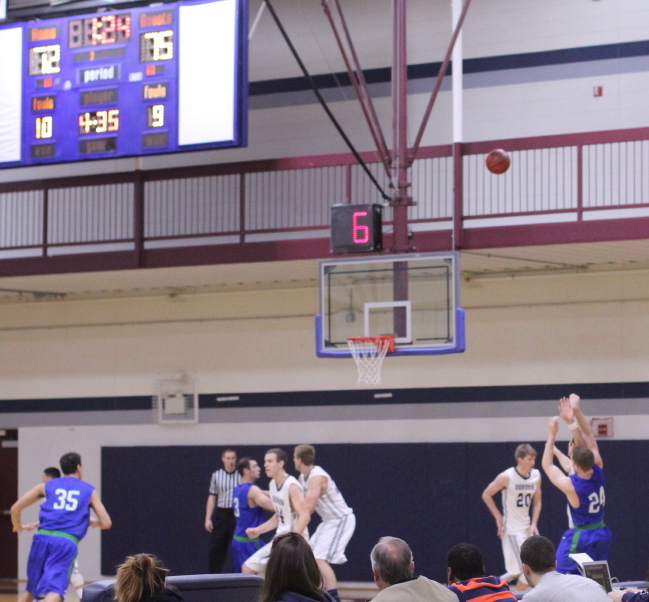 The Nor’Easters were buried by Nichols today falling behind 60-20 after one half! That UNE game was well worth exiting early from in order to catch the Patriots playoff game with Baltimore. 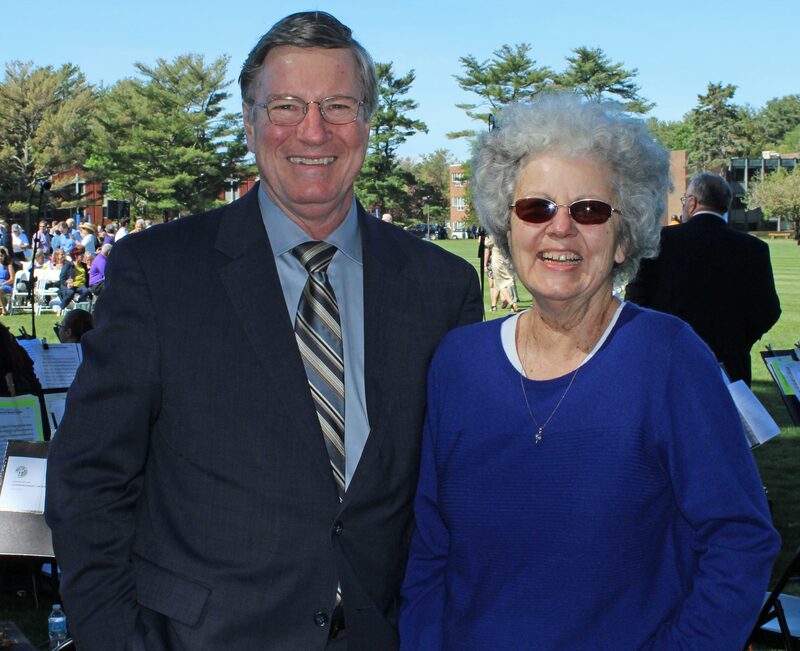 Meanwhile, at the Bennett Center, “fans?” left when the outcome of the Salve Regina/Gordon game was hardly known. Jason Dempsey had an eye-catching, running-start dunk in the second half. 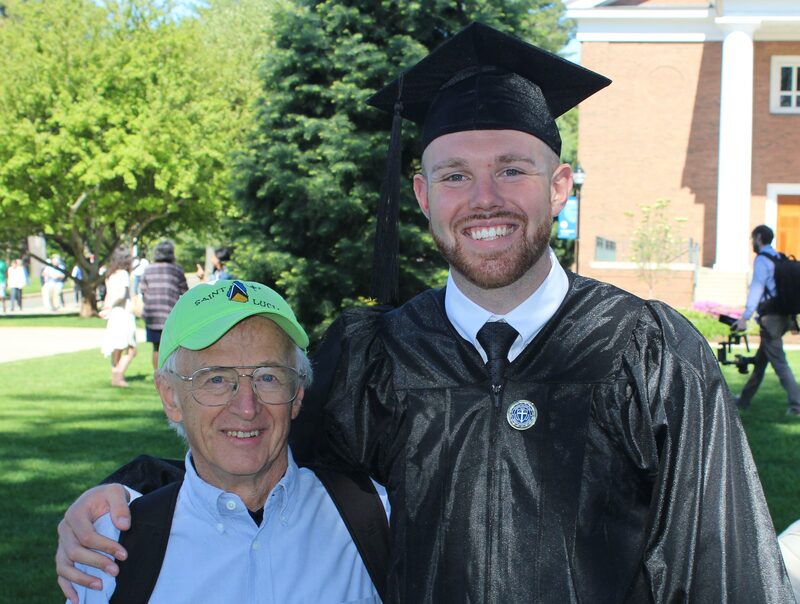 Scott St. Lawrence was able to draw a charge on Hans Miersma (18 points/8 rebounds) early in the first half and retired Hans’ inside game to the Gordon bench. Some defenders will hold their ground against Hans while some try to draw a charging foul on him by falling backwards. 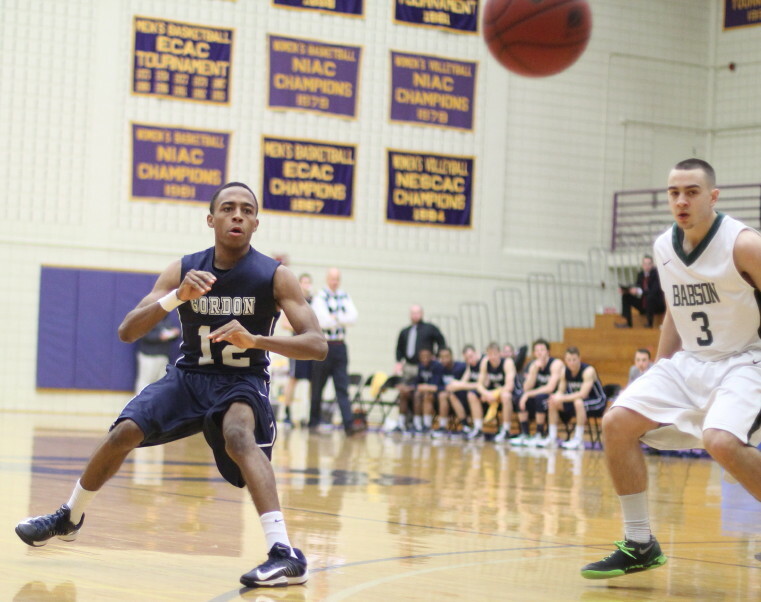 Chris O’Keefe was 5-for-6 on three’s while teammate Rodney Morton was 4-for-6. 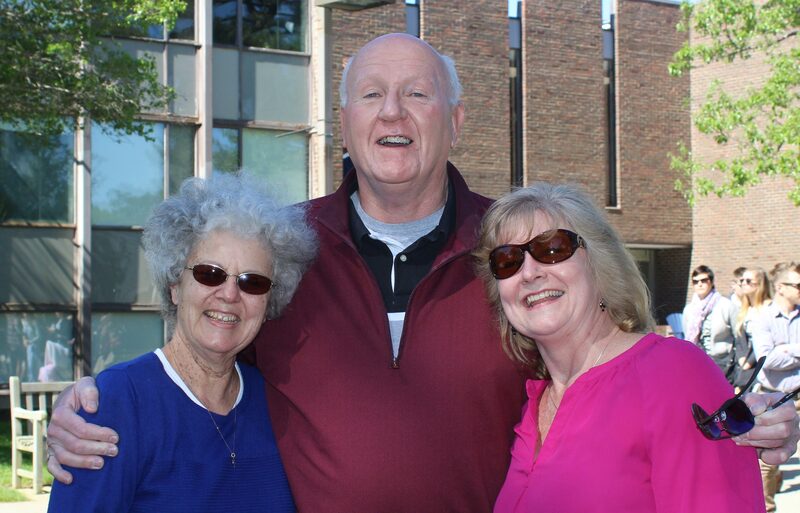 The Gaskells and the Triggs made their annual trip to Gordon from Ohio and Kansas. 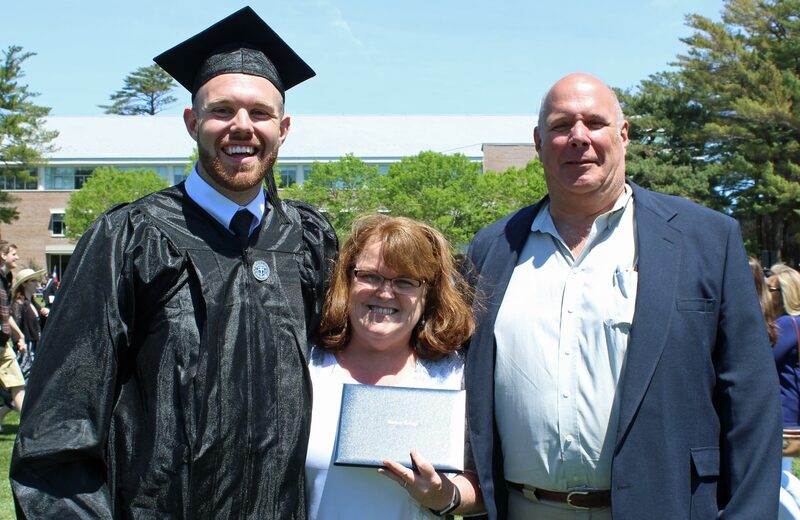 Their sons Ben and Aaron were part of the 2009-10 CCC championship team that defeated Curry by two points at the Bennett Center to get the title. That team was a sweet 24-5. 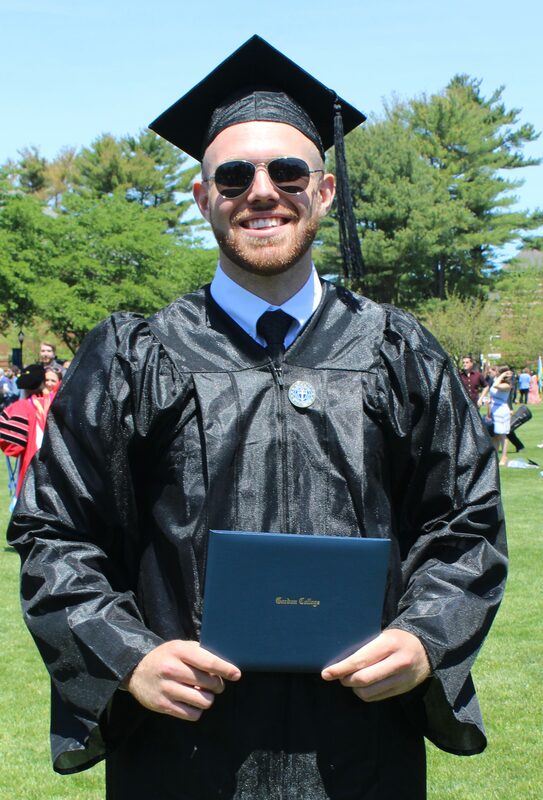 Nick Bates from nearby Danvers played for Salve. Gordon has lost four of their five home games. What’s with that? 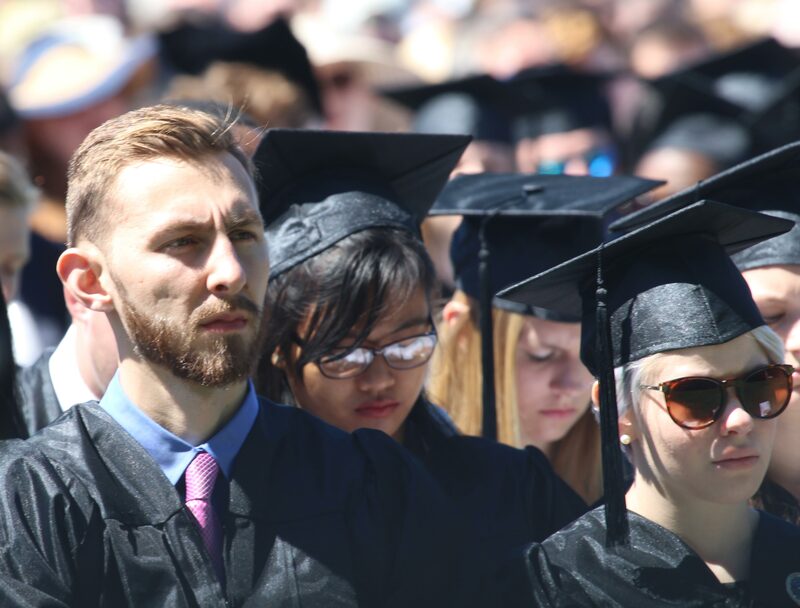 ENC is on hand next Saturday at the Bennett Center. That should be noisy! Gordon missed seven free throws including this one. 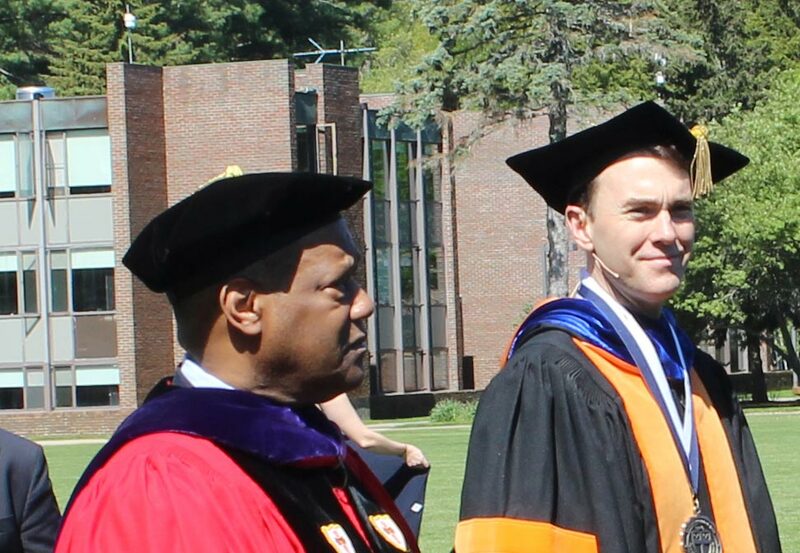 (Williamstown MA) It was a shock to some and a surprise to the rest of us. 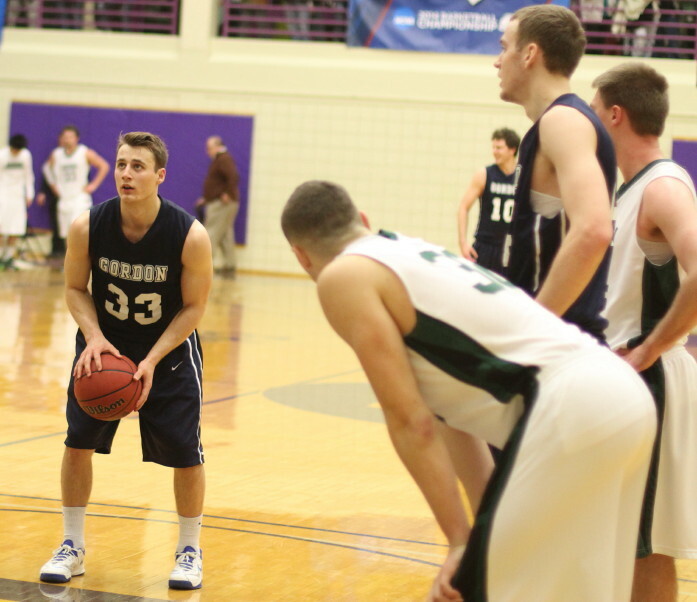 But there was Gordon winning their first round game in the NCAA Division 3 men’s basketball tournament, 76-68, over Babson on Friday night at Williams College. No Commonwealth Coast Conference team had ever won a first round game before the Scots (18-10) got it done. Gordon trailed the Beavers (20-7) in the early going, 10-6, but then went on a game-turning 15-1 stretch to get up by ten (21-11). That lead would get larger (32-16) but never smaller than five (70-65) the rest of the way. The 15-1 separator segment was driven by three’s (Park Thomas, Shaun Roach, Dominic Paradis) and three jumps shots by Alex Carnes. As you can see, the points were coming from everyone. The Beavers chose not to press until late in the game giving Gordon plenty of time to run what has become an excellent half-court offense. Yes there were 19 turnovers but there also were plenty of high percentage shots turning up. In the hard-to-top second half, Gordon made a remarkable 11 of 15 shots attempted. 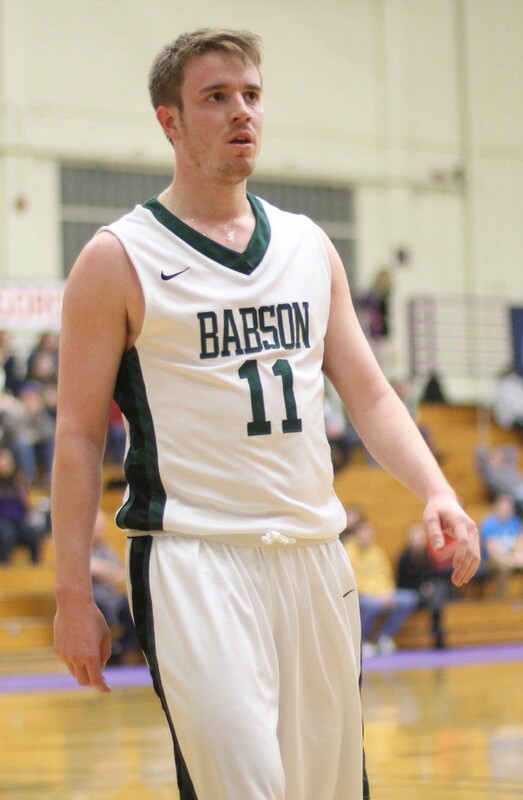 The Beavers made runs to within six twice late in the game but the Scots responded with layups (Alex Carnes & Hans Miersma) to push Babson back. Anyone at Williams sweating this one out in the final minutes will rave about Gordon’s foul shooting. Terrific! The team shot 19-for-21 in the game. Park Thomas made all ten of his in the second half including six straight in the last 39 seconds. Alex Carnes (20 points) topped the efficiency chart. The 6-4 senior carried Gordon in the first half with thirteen points on 6-for-9 shooting. 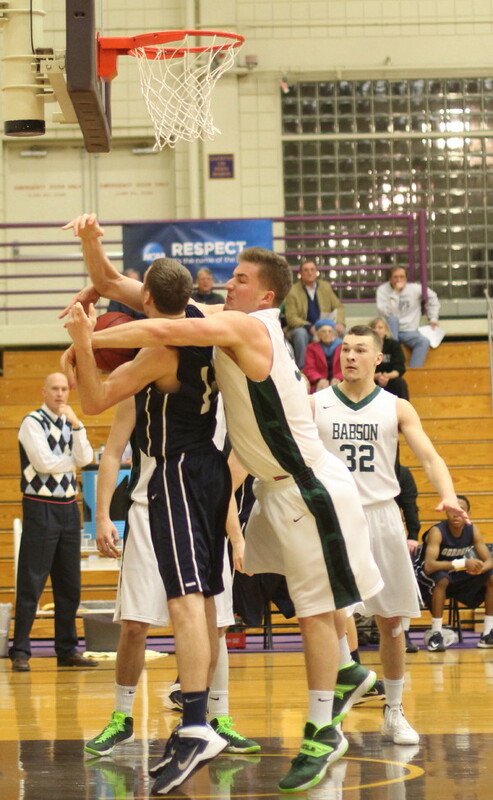 Alex also spent time defending Babson’s Joey Flannery. 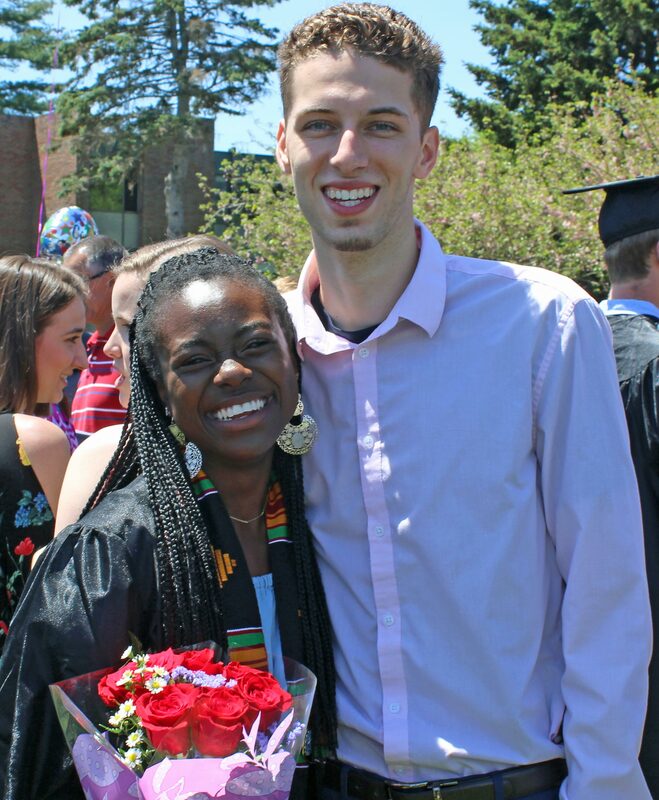 Joey was the ROY and POY in the NEWMAC this season. Joey heated up in the second half and ended up with 17 points and 9 rebounds. Watching Joey Flannery put up a lot of shots late reminded me of the Nichols game in which the Bison turned their scoring opportunities over to Ryan Sheehan. The Scots will play the host team (Williams) tonight. 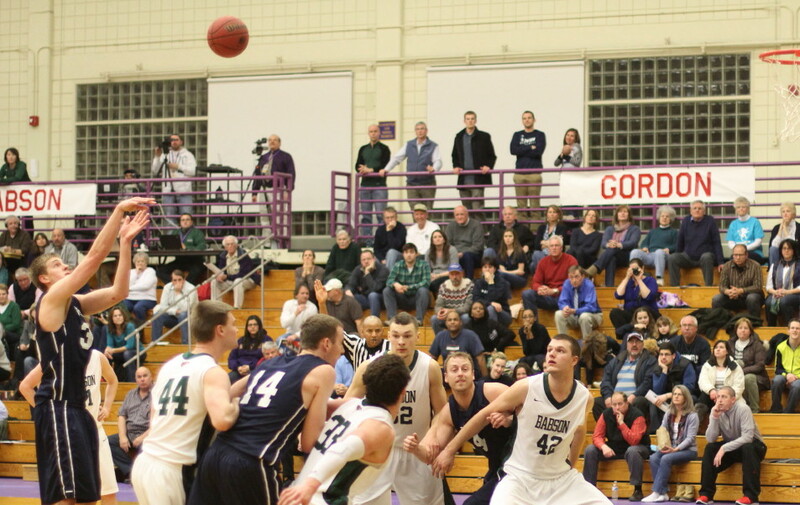 Only some were shocked when Gordon defeated Babson. Almost everyone will be in that state if the Scots find a way to defeat the 24-4 Ephs. 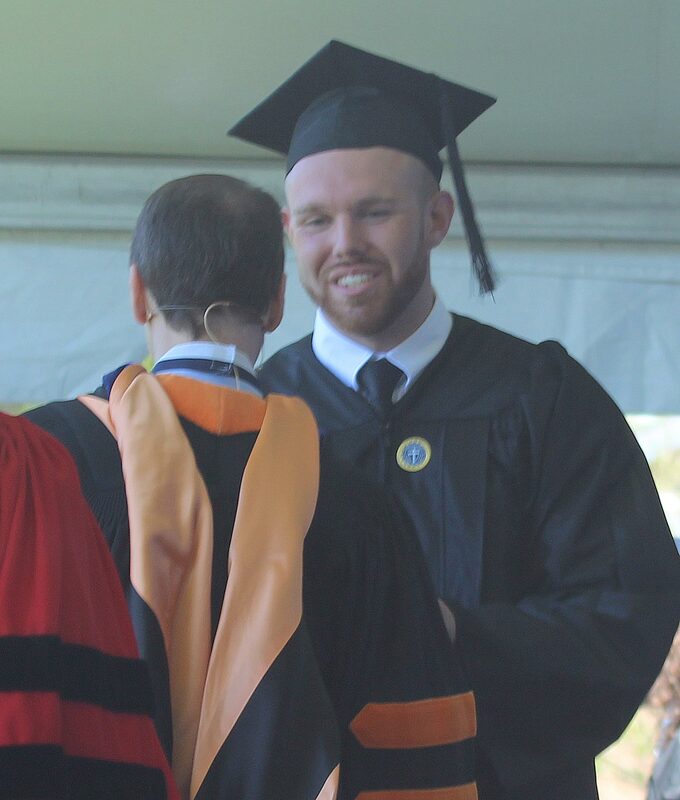 One player certain to require special attention will be Williams’ Mike Mayer. 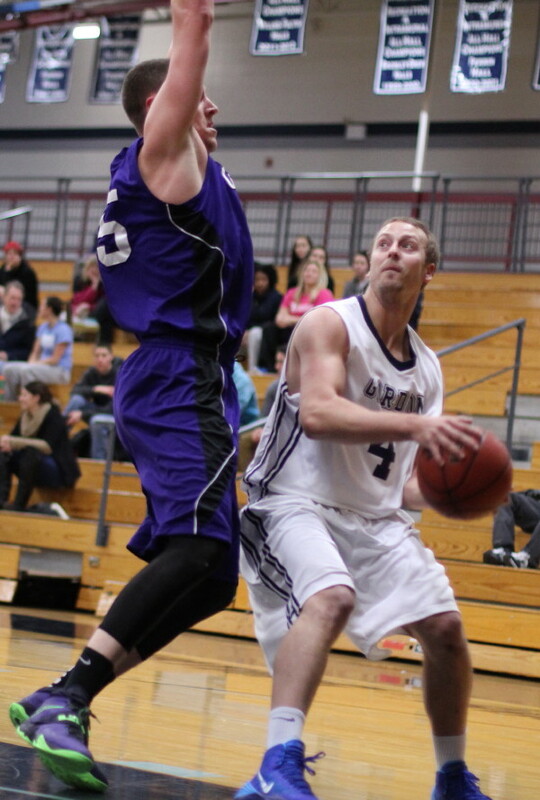 Mike is 6-9/240 pounds and put up a 40 in Efficiency (25 points/15 rebounds) in last night’s Ephs’ win over Mitchell. 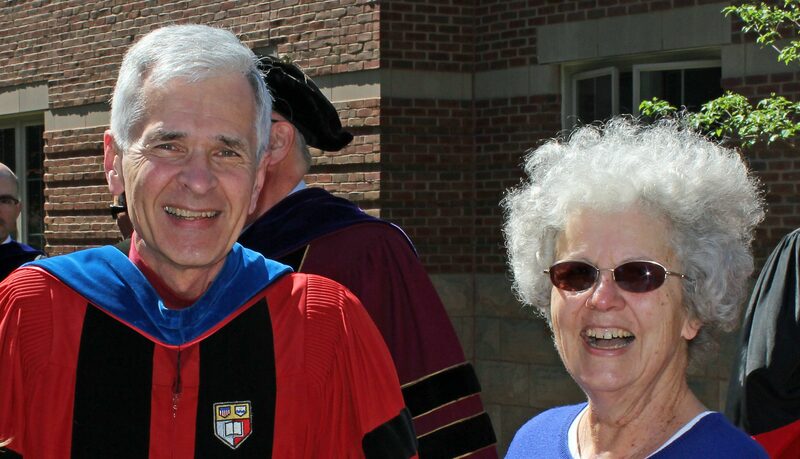 (Amesbury MA) Gordon was shorthanded but not short of heart. 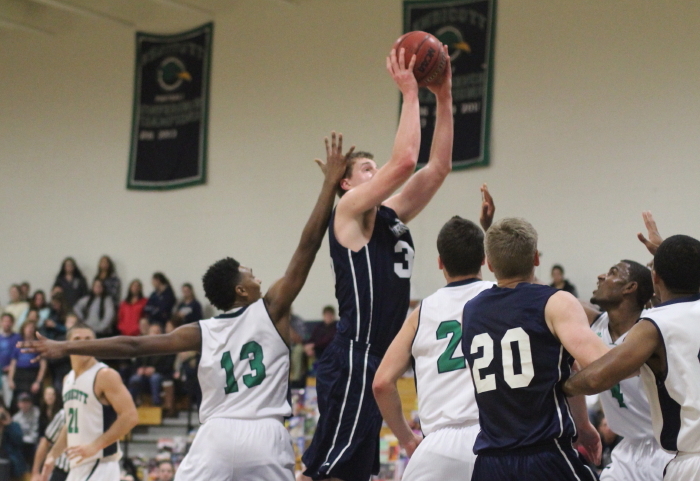 Minus three starters, the Scots still gave the Saturday afternoon Bennett Center crowd in Wenham (MA) plenty to cheer about in an, 88-81, loss to Salve Regina. 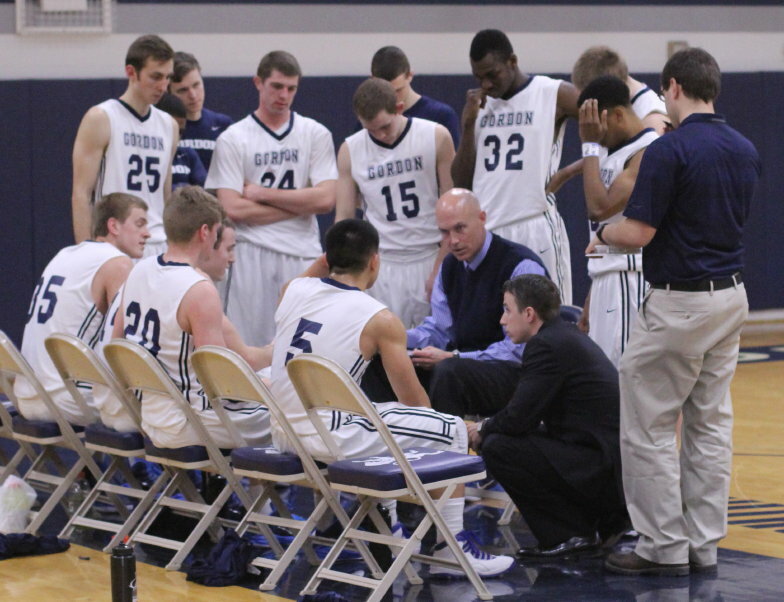 The Scots shot very well early, in fact had a nineteen point lead (40-21) in the first half. Points were going up in a hurry for the home team but you couldn’t help but fear a cool down. And it came in the second half. While Gordon struggled in the second half, the visiting Seahawks couldn’t miss. The team from Newport (RI) shot an incredible 68% for the half and caught the Scots (53-53) with 13:11 left. Credit Gordon for not going away. 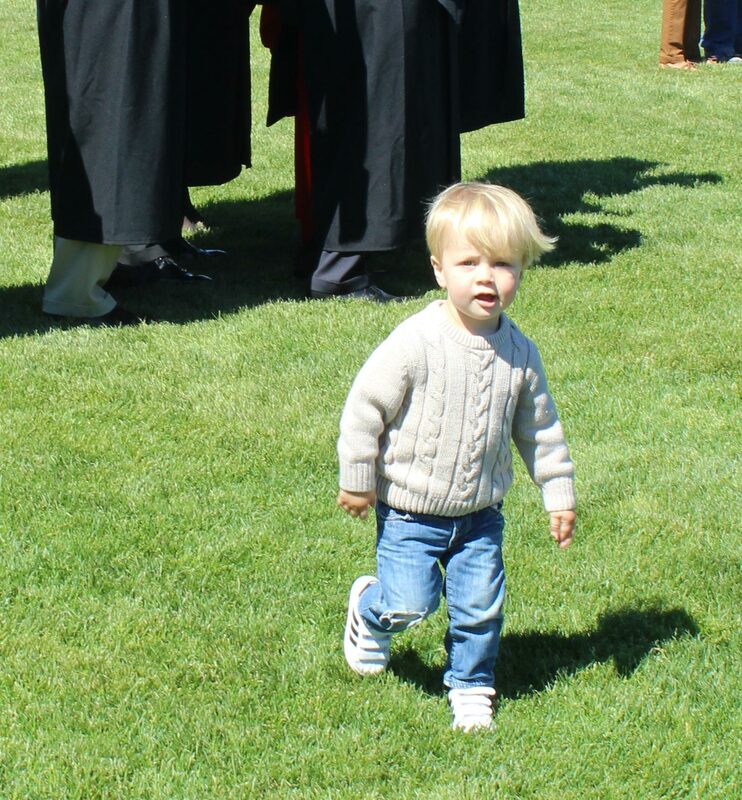 For the next 8+ minutes Gordon matched Salve. I’ll give credit to a very active student section for lifting the home team. Down 75-74 with 4:42 left, however, SR was able to create separation and won by seven, 88-81. 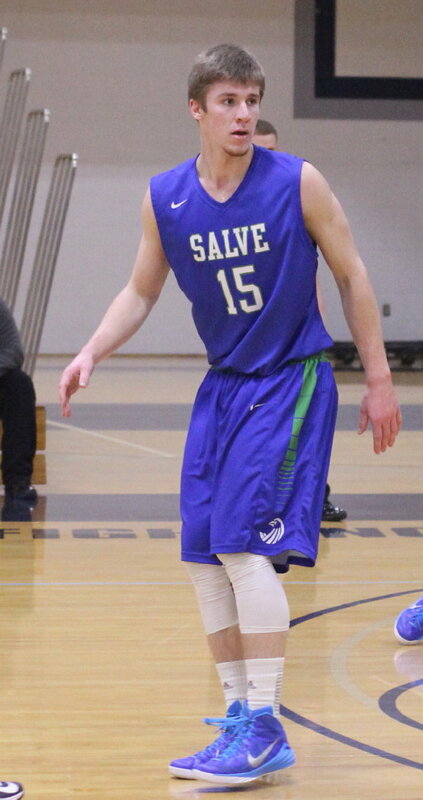 Sophomore Barrett Hanlon had a season-high 32 points for Salve. The 5-10 guard surely found this win satisfying. In the January 11th loss to Gordon (71-70) Barrett missed two free throws and a jump shot in the final twenty-two seconds. Today, Barrett hit two jumpers in the last minute of the first half to bring SR to within eleven (45-34). Later it was his three that tied the score at 53-53. 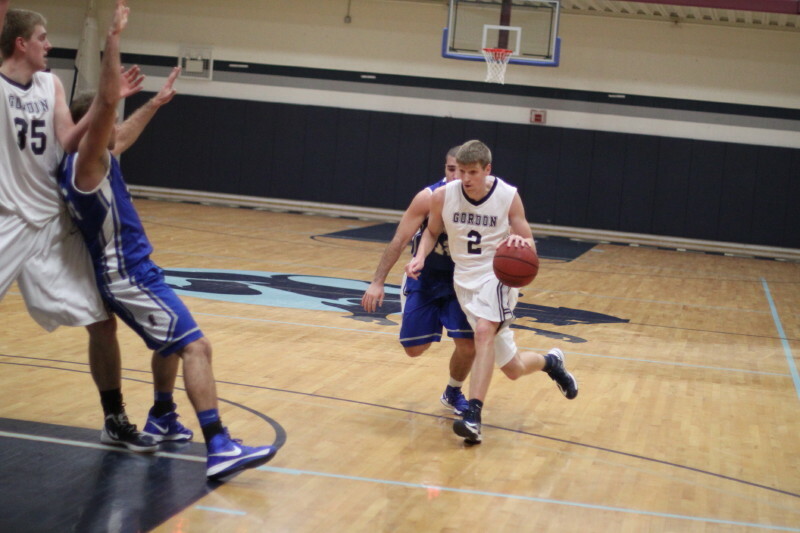 Gordon’s Alex Carnes (27 points) was just about as hot as Barrett. 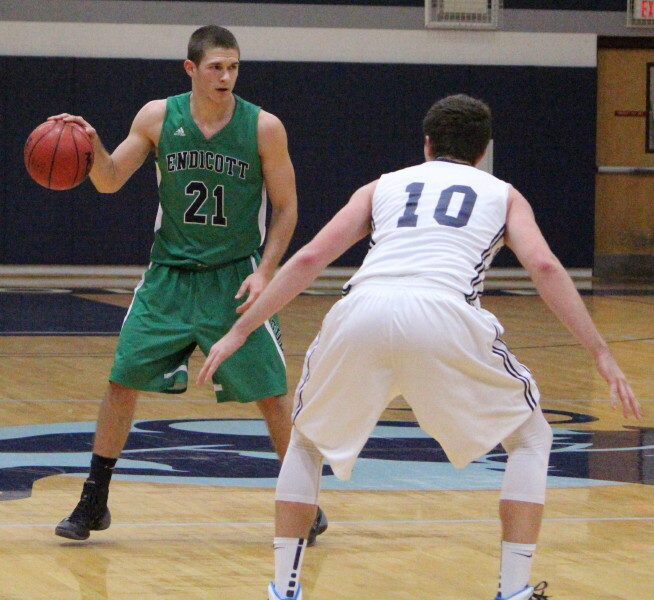 The GC senior ended up draining a career-high, six three-pointers. This was a day in which there was plenty of Gordon offense. Four players ended up in double figures. What caused the loss? Lack of defense. I had to go back four years to find a game in which the Scots gave up more than the 88 points they did today. Did I mention that three starters were missing and each is a special defender? Understand that the league loss doesn’t really change anything for Gordon as far as I see it. The goal for (11-5) Gordon, as they enter the final week of conference play, is to finish in second place. They can’t catch (14-2) Nichols. Wins this week over Roger Williams (Tuesday – away) and Eastern Nazarene (Saturday – home), however, will assure the Scots of second. It won’t be easy. Gordon had a home loss to Roger Williams in January while ENC has won eight straight including a win recently over Nichols. 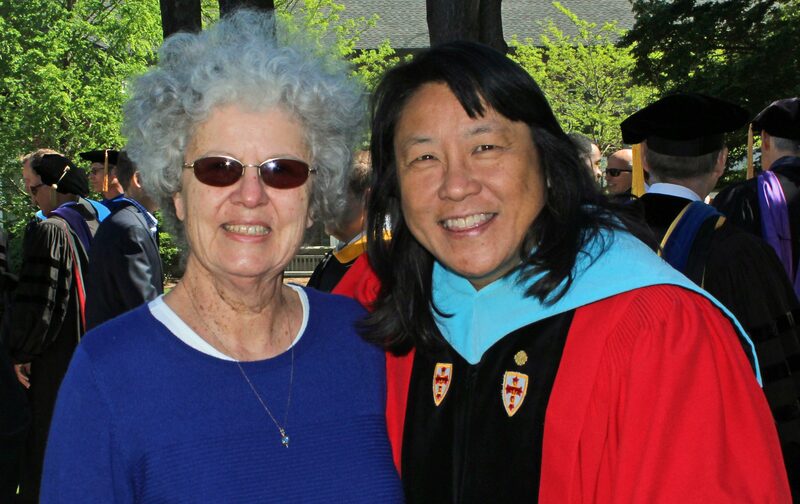 Park Thomas set a career mark with eleven assists. 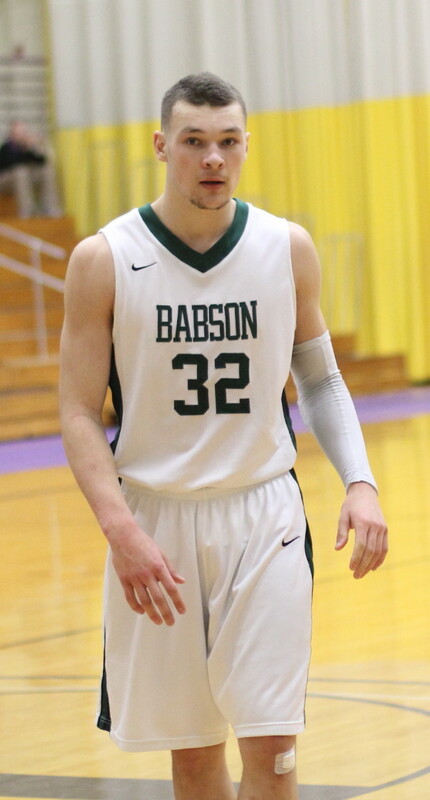 Freshman Nick Bates was part of two Massachusetts Division 3 state championships at Danvers (MA). 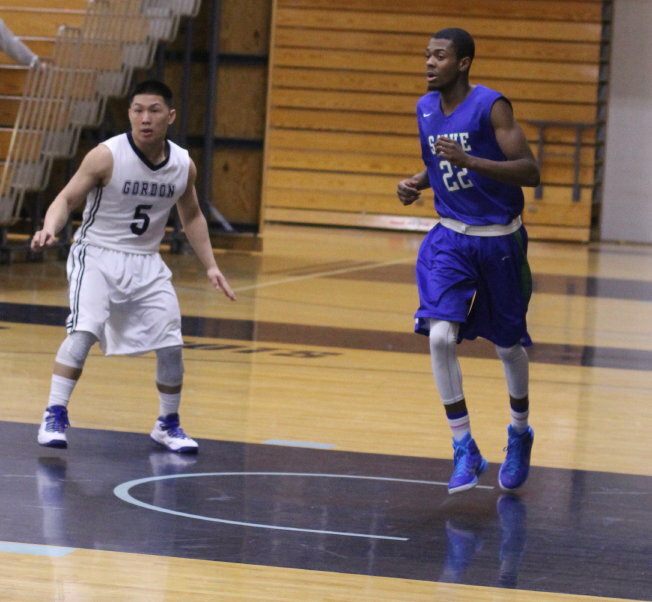 Sophomore Udoka Obiora had five blocks versus Salve. Given the chance to play during the past two games, he has shown that he can contribute. Gordon had season highs in shots attempted (69) as well as three’s made (13) and attempted (31). Dominic Paradis reached a career high with his 16 points today. Lord willing, a week from now the CCC tourney setup will be in place and the Gordon seniors will have been recognized. In my opinion, there won’t be a team in the CCC tournament that Gordon can’t defeat, including Nichols. 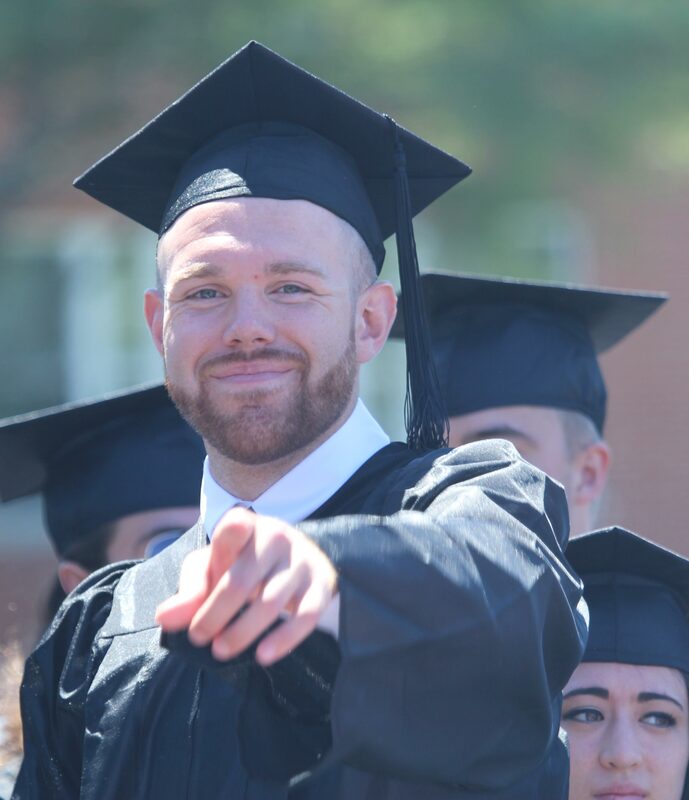 The dream scenario is for GC to finish second, win their two home-tourney games, have someone knock off Nichols, and face Endicott in a jam-packed Bennett Center on March 1st!